Brazil v Switzerland Preview: Can favourites Brazil start their tournament in style? Brazil vs Switzerland Preview: Can favourites Brazil start their tournament in style? Brazil have not lost an opening World Cup game since 1934 - Tite's team will aim to continue this impressive stat on Sunday in Rostov. Brazil have looked a rejuvenated side under coach Tite, easing through qualification following his appointment, however there remains a sense that the resurgence back to the top level will only start with a win over Switzerland on Sunday. Going into the tournament as the bookies favourites, the five-time winners Brazil square off with a tough Switzerland side, who head into the finals in good form. The home World Cup of 2014 was all set up for Brazil to gain their sixth title, however it wasn't meant to be. 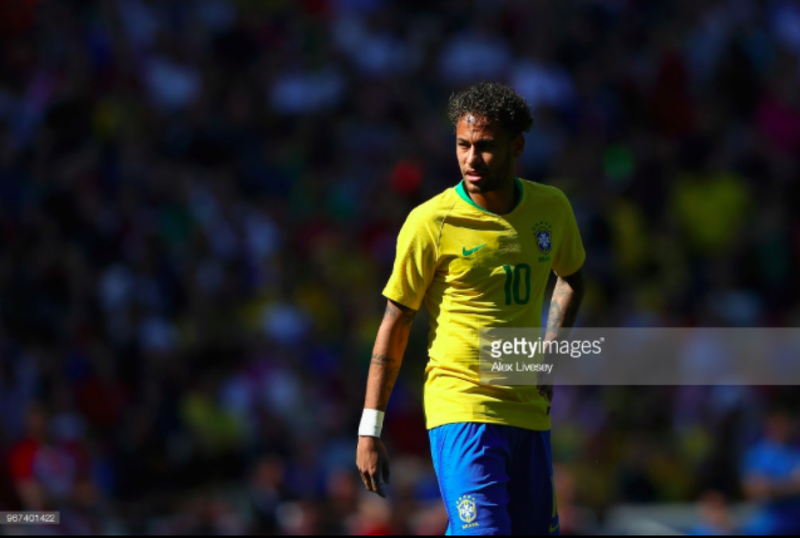 A thrashing at the hands of eventual winners broke the hearts of a nation, as star players Neymar and Thiago Silva couldn't take part due to injury. Four years later, Brazil are back better than ever. Neymar is more experienced than he was and Tite's side has a perfect balance between experience and youth. Unlike 2014, it isn't all about Neymar. When the Paris Saint Germain forward limped off in the quarter-final last time, Brazil collapsed. This time they have the likes of Gabriel Jesus and Philippe Coutinho at their disposal. On the back of double-winning campaigns domestically, the duo take a lot of reliance off Neymar. At the back, Brazil are built on solid foundations. Four-time Champions League winner Marcelo has proved himself as one of the best in the years, and Roma goalkeeper Allisson gets the nod over Ederson, which truly indicates his quality. Die Nati currently sit 6th in the world rankings, so Vladimir Petkovic's side will be aiming to prove their worth in Russia. Following winning nine out of ten qualifiers, the Swiss found themselves having to play a play-off to qualify, which they came through on aggregate with a 1-0 victory over Northern Ireland. Liverpool target ​Xherdan Shaqiri is the player who La Suisse will look to provide the goods. The 26-year-old has been involved in five of Switzerland's last six goals at major tournaments and also got a hat-trick at the last World Cup, in a win over Honduras. That was the last World Cup hat-trick, until Cristiano Ronaldo's heroics on Friday night. Petkovic has an experienced squad at his disposal, who have played together at the last two international tournaments. This experience and cohesion could be vital if Switzerland are to progress from Group E.
Brazil (4-1-4-1): Alisson; Danilo, Thiago Silva, Miranda, Marcelo; Casemiro, Paulinho, Coutinho; Willian, Jesus, Neymar. Switzerland (4-2-3-1): Sommer; Lichtsteiner, Schär, Akanji, Rodriguez; Behrami, Xhaka; Shaqiri, Dzemaili, Mehmedi; Embolo.